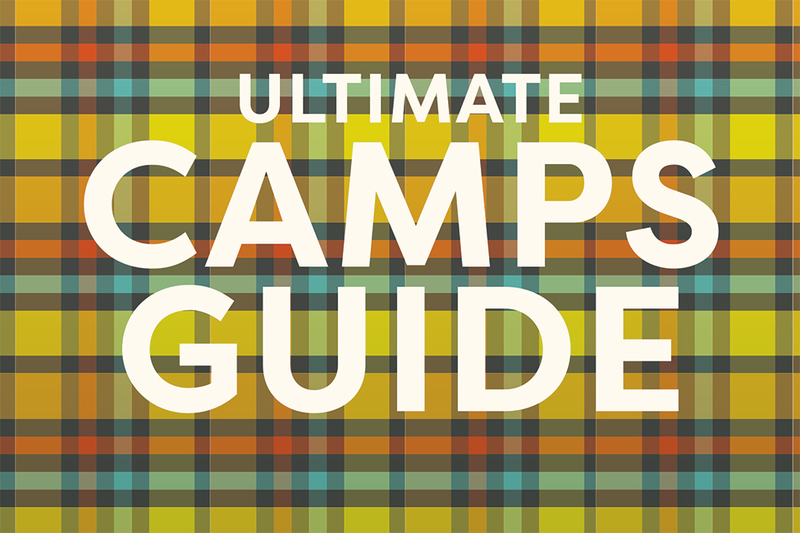 Plan your child’s summer care, enrichment opportunities, and old-fashioned, outdoor fun with help from our ultimate guide to summer camps and classes around Arkansas. Artists will explore new and exciting materials and tools for experimentation and creative development. Choose one week to attend or try them all; none of the projects will be duplicated. Dates: June 24-28, 9 a.m.-4 p.m. Faculty members share the design professions with students through hands-on projects, tours, presentations and discussions. Students work closely with faculty and collaborate with peers in a fun and creative studio environment as they explore the design process. Dates: June 17-21, 9 a.m.-4 p.m. Dates: June 10-14 & July 8-12, 9 a.m.-4 p.m. Faculty members share the design professions with students through hands-on projects, tours, presentations and discussions. Students work closely with faculty and collaborate with peers in a fun and creative studio environment as they explore the design process. These dates offer two levels: Design Camp I and Advanced Design Camp. Dates: June 24-28, 9 a.m.-3 p.m.
Young fashion designers at all skill levels will learn how to sketch their designs and experiment with fabric and trims on a mini mannequin. Students will learn to use a sewing machine while creating a tank dress, clutch purse and headband. An immersive theater, arts and music experience where campers will learn acting, music and dance techniques alongside new friends from around the world, while parents experience Elvis Presley’s Graceland and great Memphis attractions. Dates: June 3-14, 9 a.m.- 5 p.m.
Students learn about different artists, build skills in theater and visual arts, make new friends and spend two weeks working toward a final performance and art exhibition. Register by May 3. Get ready to have fun and be creative! Campers will make canvases, paper crafts, stationery, wearable art and other crafts. Participants will also get to try making food inspired by Pinterest. Beginners learn to use a sewing machine while making stylish clothes and accessories for an 18-inch doll. Choose beautiful fabric and embellishments to make a unique dress, tote bag and apron. Dates: July 22-26, 1-4 p.m. Learn to use a sewing machine while making unique softie friends. Students will learn to use a sewing machine and how to embellish projects using hand sewing techniques and applique. Dates: July 29-Aug. 2, 1-4 p.m. Learn sewing machine basics and use imagination to transform old clothes into sustainable fashion. This camp is designed for beginners but students with experience are welcome too. Players will be exposed to every phase of the Harding baseball program, including practice, organized games, weight training, individual instruction and classroom and video sessions. This camp will work on the development of each player’s individual skills, encourage an understanding of understanding of team concepts and fundamentals, hustle and attitude. Players at this coed camp get high-level training on skills like shooting, dribbling, passing, offensive spacing, defense and more. Basketball day camp provides instruction to develop individual fundamental playing skills. Girls: June 17-21; July 15-19, 9 a.m.-3 p.m.
Players of all abilities develop athletically, refine fundamental basketball skills and enhance their skill set at the post, wing or guard position. Kids Cook! Around the World at Eggshells Kitchen Co.
Campers will receive hands-on training in the kitchen while exploring various cuisines from around the world including Mexican, African, Italian and more! Lil Eggheads Kitchen Camp at Eggshells Kitchen Co.
Each day, your kitchen kid will experience a new cuisine and learn kitchen skills he or she will take from the Eggshells kitchen to home! Campers learn the basics of cooking as they work through a series of techniques and recipes. Professional faculty and guest artists focus their coaching skills on younger dance students in these coed camps. Professional faculty and guest artists focus their coaching skills on serious dance students, who are training at a progressive, intermediate or advanced technical level. Students will spend the week focusing on ballet technique, moving and grooving in jazz and contemporary classes, and getting creative in choreography class. Enjoy dance, arts & crafts and learning from the professionals dancers of Ballet Arkansas! This half-day program will center around the stories and movements of classical ballets such as "Sleeping Beauty" and "Swan Lake." The Summer Intensive focuses on pointe work, partnering and technique. The program is taught by guest instructors and Ballet Arkansas company dancers. BearsWrite teaches students how to use voice, setting, word choice, character traits, point-of-view, journaling, and poetry. They will create portfolios of their best work, a camp digital anthology, and will participate in a public performance. Campers are provided an introduction to the craft of creative writing. They will practice a variety of traditional and contemporary forms and styles, and build a portfolio of original short stories and poems. Confidence Camp helps boys develop a sense of pride in themselves and their accomplishments. Focusing on good decision-making and teamwork exercises, the one-week program rewards young men for their progress. Students will learn and review the building blocks of reading through hands-on experience, learning games and centers, and become confident readers while developing literacy skills. Dates: June 17-21, 9-10:15 a.m. This camp focuses on general mathematics skills needed to succeed in pre-algebra, giving students an excellent head start for the coming school year. Girls will learn leadership and outdoor skills and about camp and working with children. They’ll discover individual abilities as leaders, analyze campers and their needs and experience camp life. Girls discover who they are as a leader, learn the skills to be successful and then apply these skills to the world of resident camp. This program teaches boys to follow as well as lead and helps them to understand the benefits and responsibilities of being a leader. This course provides the new driver with 30 hours of instruction, reading, and lively discussion covering the laws that regulate driving in Arkansas. This year’s theme is Linked. Each day there will be guest speakers from local nonprofits who will share more about their organization and provide a hands-on activity for campers. Dates: June 24-28, 9-10:15 a.m.
Students learn primary pre-algebra skills and concepts. Camp also covers some Algebra I concepts on an introductory basis to expose students to new topics. MMA’s Summer Academy offers a high school program (grades 9-12) and a middle school program (grades 7-8) to enrich, educate and inspire students and boost they confidence in and out of the classroom. Girls can attend as day students. This Christian summer camp is designed for kids to experience a little bit of country life. Campers stay active with traditional activities like crafts, drama, horseback riding and archery. This Christian day camp offers worship along with an active week full of traditional camping activities. Have all the fun of summer camp designed for a family experience that will draw you closer to each other and to Christ. This Christian camp offers worship along with an active week full of traditional camping activities. Campers are assigned to a “tribe” where they will lodge with six to 11 other campers. Camp Tahkodah is about faith, fun and friendship. Kids have daily outdoor Bible classes and a host of traditional camp activities before ending their day with devotionals under the stars. Give kids a taste of some Tom Sawyer-Huck Finn fun with treasure hunts, ropes courses, dances, campfires and more. Sign up for one week or all 10; day campers will enjoy exciting activities while they play outside, make friends and explore their faith. The Girl Scouts offer dozens of themed overnight camps of varying lengths. Campers experience traditional camp activities, learn outdoors skills, gain confidence and independence and make new friends. Campers do not need to be members of Girl Scouts to attend. Campers enjoy games and activities, but High Point is centered on training and discipling the next generation of Godly leaders through quiet time, opportunities for corporate worship and small group interaction. The academy offers a variety of camps and courses that focus on academics, arts and enrichment, athletics and more. Kids will participate in on-site activities such as board games, jump rope, basketball, movie screenings, arts and crafts and more along with field trips. Kids can participate in a variety of activities during including video games, billiards, basketball, weekly tournaments, swimming at Splash Zone and much more. A summer meal program is offered Monday-Friday at noon and 3 p.m. Both Mom's Morning Out and Camp Wonder include snacks, activities and play time at The Wonder Place. Kids can discover the wonders of science, music, reading, art and more! Join the museum for a special Arkansas Territorial Bicentennial theme. Campers will learn through crafts, dancing and special activities how people in Arkansas lived in 1819 and beyond. Summer at the Academy offers a day camp for child care and weekly classes focused on various subjects and themes. Enjoy up-close encounters with amazing animals, fun and engaging activities, lunch from Cafe Africa and more. Little Rock Zoofari Camp also offers options for early check-in and extended checkout. This therapeutic-based program emphasizes fun recreational activities for people with special needs to promote the development of motor skills and social skills. Participants must be independent with personal care or provide an aide. Students develop an understanding of the mind of an entrepreneur, the discipline of a financier, the resourcefulness of an information technologist and the ethics of a Christian professional. Participants earn three hours of transferable university credit. Students learn about the world in which we live and how each of us fits into the world as Christians through daily engagement with Harding professors and mentoring with Harding's student counselors. Participants earn three hours of transferable university credit. This week-long workshop provides hands-on activities and educational lessons. Register by July 8. SLUFY gives students a chance to learn through hands-on experiences, guest speakers and field trips under the guidance of enthusiastic teachers. Kids and teens can learn the fundamentals of golfing during these two camps. Activities include gymnastics, dance, field trips, trampoline, indoor/outdoor play, swimming pool outings, games, arts and crafts. In this fun program for recreational, compulsory, and optional level gymnastics, athletes are trained in all four events as well as in nutrition, dance and trampoline. Activities include weekly field trips, arts and crafts, physical fitness, games and much more. Registration is open from March 1-May 1. Students will ride horses with instruction and do ground work with their horses. Activities include obstacles, games on horseback and more. Camp includes lessons in riding and grooming, as well as games and free time. Every camper will also learn what it takes to care for a horse. Campers choose between several indoor and outdoor activities each session. Specialty camps offered each week break off from the main camp for topics like filmmaking, intensive martial arts training, or game development. Through the study and performance of chamber music, this camp provides an immersive environment for students. Kids must be able to play a musical instrument already, but the camp accepts students at different levels of ability. The ASO holds a comprehensive five-day summer program for violin, viola, cello, and double bass players. Students must have at least one year of string study on their instrument. Dates: July 10-12, 9 a.m.-3 p.m.
Day campers go on energetic outdoor adventures that include fishing, kayaking, exploring and field trips to local nature centers. Campers learn about the state’s native birds, rocks, trees and plants, mammals, snakes, frogs, salamanders and insects. Activities at Arkansas Outdoor School are designed to emphasize teamwork, self-confidence, communication and cooperation. Activities include swimming, canoeing, hiking, rock climbing, archery and more! Aldersgate camps provide a traditional residential camp experience for children challenged by medical conditions or disabilities. Camp Mitchell offers a faith-based component to its programs that consist of themed focus camps and traditional camps. Christian campers engage in more than 150 activities, including horse riding, crafts, tennis, water recreation, fishing, ropes course, basketball and more. Base Camp focuses on going deeper in themes introduced in the Camp Solgohachia program. Each day includes sessions where campers worship together and explore what it means to live as a disciple of Jesus. Camp Solgohachia packs up everything and heads to the Morrilton City Park for a free week of camp. Camp Subiaco is a week busy with go-karts, camp outs, canoeing, shotguns, swimming, boating and more operated by the Subiaco Alumni Association with the help of the alumni, students and monks of Subiaco Abbey and Academy. Overnight Camp is a great opportunity for kids to have fun and grow their faith. Activities include hiking, swimming, canoeing, fishing, games, crafts, worship, Bible study, campfires and more. Kids connect to nature via Little Rock’s park system. They’ll spend a week visiting 10 different parks or facilities discussing the flora and fauna, history and conservation issues and picking up litter and playing. Lake Nixon offers opportunities for campers to participate in Bible study, crafts, music, recreation, swimming, fishing, hiking, paddle boats and much more. Transportation is provided at no charge to and from three locations in central Little Rock. Dates: June 12-14, 9 a.m.-3 p.m. Kids develop the skills to survive in the wilderness, gaining the knowledge and confidence to fish and cook outdoors, “read” the weather, build shelter, make a fire and more. Dates: June 11-14, 8 a.m.-4 p.m.
Campers venture out into the park to discover outdoor skills while hiking, kayaking, swimming, orienteering, horseback riding and more. Dates: June 10-14, 9 a.m.-3:30 p.m.
Students experience hands-on STEM learning in one of four modules: Deep Sea Mystery, DIY Orbot, Innovation Force and Farm Tech. Dates: June 17-21, 9 a.m.-3:30 p.m.
Students experience hands-on STEM learning in one of four modules: Deep Sea Mystery, DIY Orbot, Innovation Force, and Farm Tech. This fun and interactive two-week residential program explores various civil and construction engineering careers. The programs strives to increase the number of students entering engineering programs in Arkansas through exposure to hands-on projects, plant trips and interaction with industry engineers. Students will get an introduction to geology through field mapping of the lithology and geologic structures at field stops and the use of geographic information systems. Students explore the pharmacy profession through classes, hands-on learning experiences and other activities. Activities include field trips, pharmaceutical laboratory experiences, games and recreational activities, shadowing, introduction to pharmacy curriculum and discussion of current topics in pharmacy. The program engages academic high achievers by proactively mentoring them and helping them make informed choices on coursework during high school for pursuing future careers in a STEM discipline. Weekly camps with diverse themes all present exciting opportunities for children to learn about science in a safe, hands-on environment with trained educators. The museum offers a variety of themed week-long day camps where kids can explore the worlds of Minecraft and Lego and study subjects like filmmaking, animals, space and more. Students will act as real-world engineers as they dig into problems and design solutions. The camp incorporates active participation in a scope of experiences including hands-on training in pharmacy practice skills, lectures by professional pharmacists and field trips to pharmacy practice locations. Application due March 17. These camps emphasize player development in individual, small group and team instruction. Games in the evening give players the chance to apply what they have learned. Register by May 1 for a $50 discount. Instructors will introduce players to basic soccer techniques while having fun. Campers should bring a soccer ball, proper shoes, shin guards, sun block and water. Register by May 1 for a $10 discount. This accelerated and intense camp emphasizes technique, tactics and small-sided play along with competitive matches where campers are instructed and evaluated by staff. Register by May 1 for a $25 discount. This camp focuses both individual and team skill development for competitive players. There is skill instruction in all defensive position groups and in offensive skills. Players work fundamental skills and development in throwing, fielding, hitting, base running, pitching, and catching. The camp motivates girls to enter the fields of computer science, information science or web design. Students use VEX IQ robotics kits to learn about robotics components, programming methods, and construction techniques. Students work with a team of industry experts to explore the nuances of acting technique and performance and to explore the joys of acting and theater arts, closing out the week with a showcase performance. In this collegiate-style, two-week summer session, high school students will learn from industry experts in a combination of acting and musical theatre training, rehearsal and performance. Dates: June 17-21 and July 15-19. Students use creative dramatics to explore acting, stage movement, theater makeup, props and present showcase performances. Students will participate in daily acting, dancing and singing exercises, applying these skills in a showcase presented at the end of the week. Summer Theatre Academy offers two, three-week, audition-only sessions. Students learn theater performing techniques under the direction of skilled professionals from around the country. Call for audition information. Students explore the fundamentals of acting, voice and movement through fun activities and games and then apply these skills in a short showcase. KampOut! brings the fun of Kanakuk to your hometown. Staffers lead this high-energy day camp through guided sports, activity times, Bible study, worship and small-group time for children. This year's vacation Bible school theme is “In the Wild!” Gas up the ATV and head out on a wilderness adventure like no other. Get up close and personal with elephants and egrets, polar bears and penguins, cockatoos and crocodiles, and so much more! As students seek out exotic animals, they'll also find snapshots of real-life encounters with Jesus in scripture. The Volleyhogs bring energy and excitement to this camp where all aspects of the game are taught including passing, setting, hitting and serving. This summer training experience focuses on all skill sets. Athletes at the mid- to advanced-levels get competitive skills training and play time. Dates: July 15, 9 a.m.-4 p.m. This camp focuses on training for the specific positions of setter, hitter and libero. This camp combines great training and competition over three days. There will be three divisions of play and accommodations off-campus. Dates: July 8-12, 9 a.m.-3 p.m.
At this day camp players of all ability levels will unleash their potential by improving their skills, increasing their confidence and making new friends. Dates: June 28, 5-8:30 p.m. This specialty camp focuses on defensive kills. This specialty camp focuses on hitters and setters. Students should bring playing gear including knee pads and tennis shoes. Teams will train and play at various gyms around the UA-Little Rock campus. This specialty camp focuses on serve/serve-receive players. Volleyball day camp provides instruction to develop individual fundamental playing skills.